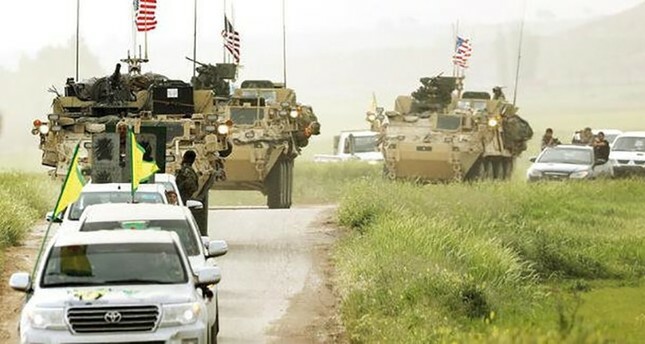 U.S. President Donald Trump has approved providing weapons worth $393 million to its partners in Syria despite Ankara's concerns over the continued delivery of heavy weapons and armored vehicles to PKK's Syrian offshoot the People's Protection Units (YPG). The U.S. President signed the list prepared by Pentagon in May on Dec. 12, 18 days after his phone conversation with President Recep Tayyip Erdoğan during which he was quoted as "openly instructing his generals to no longer give weapons to the YPG." "He openly said that this absurdity should have ended much earlier," Foreign Minister Mevlüt Çavuşoğlu had told reporters after the phone call. The list included a total of 12,000 AK-47 Kalashnikov rifles worth $6.3 million, 60,000 Kalashnikov clips worth $420,000 and 6,000 machine guns worth $20.3 million. The weapons list did not give any direct reference to the Syrian Democratic Forces (SDF) or its dominating group YPG but instead mentioned the Vetted Syrian Opposition (VSO). Ankara considers the YPG a terror organization because of its organic links with the PKK terror organization. Accordingly, sophisticated weapons will continue to be sent to Syria in 2018, including thousands of anti-tank rocket launchers, heat seeking missiles and rocket launchers. In addition, some $1.2 billion budget was reserved for Iraq and another $500 million was reserved for Syria as a part of the train-equip fund in 2018, according to the list. The Pentagon's Syria strategy for 2018 also outlined an increase in the number of Arab elements within the SDF. According to the budget list, there are a total of 25,000 opposition forces supported as a part of the train and equip program in Syria. That number is planned to be increased to 30,000 in 2018.